Dr. Mark Burke was born and raised in Summerside where he grew up playing hockey and golf. Following graduating from Three Oaks Senior High School, he moved to the big city of Charlottetown to complete his Bachelor of Science Degree with a major in Biology at the University of Prince Edward Island. During his days at UPEI he began to become very interested in the eye and the human visual system. At this point he realized there would be no better career than one that allowed him to help people on a daily basis with their most precious sense, their eyesight. That desire led him down the road of Optometry where he completed a Doctor of Optometry degree with Dean’s Honours List distinction at the University of Waterloo in 2006. Upon graduation, Dr. Burke desired to get back to his beloved Island province and was fortunate to have the opportunity to join the reputable practice of Drs. Beer, Hickey & Associates. Dr. Burke joined Dr. Joe Hickey as a partner at the practice. The practice soon became Drs. Hickey, Burke & Associates. In Novemer 2009, Dr. Burke and Dr. Hickey expanded and became owners and operators of Island Optical & Eyecare and added full eye care services to the already successful optical dispensary. 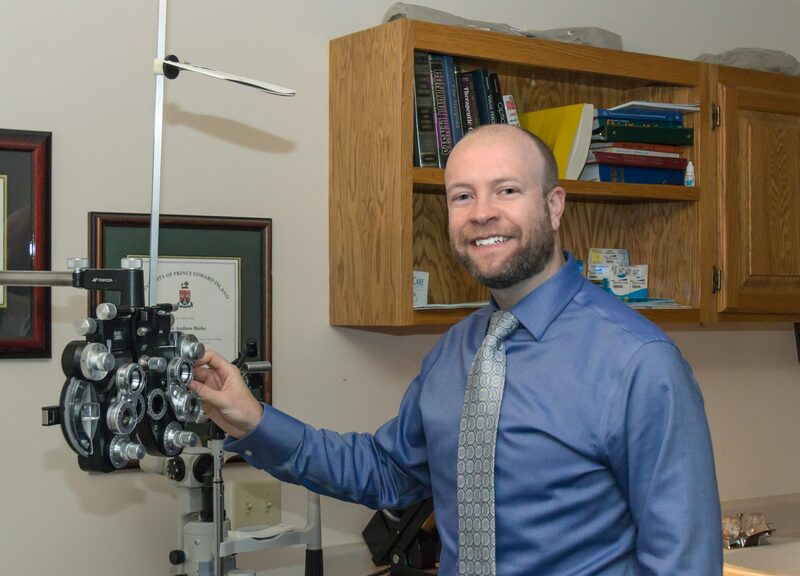 Dr. Burke is actively involved in the profession as he is currently the Registrar of the Prince Edward Island College of Optometrists and sits as a member of several National Optometry Regulatory Bodies. He also authored a clinical research paper while acting as a research assistant during his days at the University of Waterloo. At the end of the day, Dr. Burke is thrilled to get home to his beautiful wife Charlene, and sweet children, Madison and Hunter. Also, his loyal dog Pluto cannot be left out of any family description! When not working or spending time with his family, he loves to golf and explore our beautiful PEI beaches.